Facet-Joint-Pain.Com is a completely free patient resource center that provides education, advocacy and community for patients with various zygapophyseal joint diagnoses. This website is brought to you by the most trusted and established name in dorsopathy treatment: The Cure Back Pain Network. We have been here for you for over 12 years as the premier source of honest, understandable, objective and enlightened back and neck pain information. We welcome you to explore this website and benefit from the vast amount of time, effort and money we have invested in research, clinical practice and patient correspondence. We have built a one-of-a-kind virtual world where chronic pain sufferers are welcomed, helped and most of all, understood. Cure-Back-Pain.Org is our original back pain supersite. This is the largest and most complete back pain resource in the world today and it continues to grow in leaps and bounds. This site also specializes in providing truly unique coverage of mindbody health disorders and their treatments. It is amazing that this site began as a one person blog and has expanded to reach an audience of tens of millions of patients worldwide. 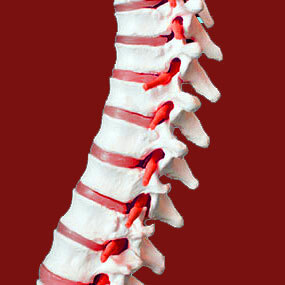 Herniated-Disc-Pain.Org is our second project site, focused on the leading dorsal diagnosis: herniated discs. This site not only details every type of intervertebral herniation and disc bulge condition, but also provides coverage of degenerative disc disease and a host of other spinal disc-related diagnoses. Sciatica-Pain.Org is our third site and has now grown to become one of our largest in readership, proving just how vital a resource it is for sciatica sufferers. Our site contains proprietary research findings that have helped hundreds of thousands of people to recover from terrible lower back, buttocks and leg pain. Spinal-Stenosis-Treatment.Org is our fourth web project and is focused on the clarifying structural implications of central and foraminal spinal canal stenosis. This extremely detailed website provides a total picture of all forms of spinal stenosis and is a vital resource of patients with any type of vertebral canal impingement issues. Neck-Pain-Treatment.Org is our fifth website that provides exclusive coverage of cervical spinal and neck muscle pain syndromes. This site covers nothing but neck pain and contains a very useful section on mindbody medicine. This site is our fastest growing in content and has quickly become the largest web encyclopedia on the subject of cervical spinal dorsopathy. Low-Back-Pain.Org is The Lower Back Pain Authority for good reason, providing proprietary information about lumbar dorsalgia. Scoliosis-Pain.Com is the complete scoliosis resource for patients and parents of young patients. Spondylolisthesis-Pain.Com provides education, advocacy and community for people affected by all forms of spinal spondylolisthesis. Piriformis-Pain.Com supports patient education for people suffering from piriformis pain syndrome and other related diagnoses. Sacroiliac-Joint-Pain.Org is the authoritative source of factual information about the causes, symptoms, diagnosis and treatments for sacroiliac joint pain. The Chronic Pain Coach helps patients to cope with persistent suffering using nothing but holistic and constructive methods of pain management. We are different from most websites in that we are not trying to sell you anything. If we provide any products, services or recommendations, it is simply due to the proven efficacy of the guidance and not any financial motivation on our part. We are trying to end your suffering, not profit from it. We are busy healthcare professionals and find the sites of the Network to be the absolutely best way to share our collective experience with a very needy patient population who is literally starved for quality back pain information. We never allow advertisers to dictate or alter our content or advice in any way. We do not fear expressing our opinion or taking active stands against what we feel are injustices, mistakes and virtually criminal actions within the healthcare community. Instead, we are proud to be critics of the same system we work in and love so much. It is only through objective criticism that healthcare will improve for all of us. If you are tired of the recycled, generic information found elsewhere that asks no questions and provides no answers, then you have come to the right place. We are proud to be different. We thank you for supporting us in our efforts to help others. We have just begun to fight for you! Get to know more about our editorial board.